کرجی بانی, احسان, هاشمی, رامین, صدیقی, محمد. (1394). به‌دست آوردن تجربی نمودار حد شکل‌دهی در ورق‌های دولایه‌ی فلزی مس‌-آلومینیم. علوم و فناوری کامپوزیت, 2(4), 45-50. احسان کرجی بانی; رامین هاشمی; محمد صدیقی. "به‌دست آوردن تجربی نمودار حد شکل‌دهی در ورق‌های دولایه‌ی فلزی مس‌-آلومینیم". 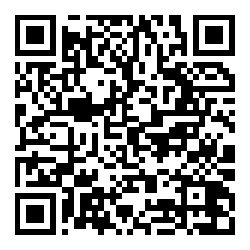 علوم و فناوری کامپوزیت, 2, 4, 1394, 45-50. کرجی بانی, احسان, هاشمی, رامین, صدیقی, محمد. (1394). 'به‌دست آوردن تجربی نمودار حد شکل‌دهی در ورق‌های دولایه‌ی فلزی مس‌-آلومینیم', علوم و فناوری کامپوزیت, 2(4), pp. 45-50. کرجی بانی, احسان, هاشمی, رامین, صدیقی, محمد. به‌دست آوردن تجربی نمودار حد شکل‌دهی در ورق‌های دولایه‌ی فلزی مس‌-آلومینیم. علوم و فناوری کامپوزیت, 1394; 2(4): 45-50. امروزه استفاده از ورق‌های دولایه‌ی فلزی راه‌حلی مناسب برای تولید محصولاتی چند کاربره محسوب می‌شود. به‌طور کلی ورق‌های دولایه فلزی دارای ویژگی‌هایی از قبیل بهبود شکل‌پذیری ورق‌ با شکل‌پذیری کم، افزایش مقاومت در برابر خوردگی و سایش، کاهش وزن و هزینه قطعات تولیدی می‌باشند. به‌همین منظور مطالعه میزان شکل‌پذیری ورق‌های دولایه‌ی فلزی، دارای نقشی اساسی در طراحی عملیات شکل‌دهی ورق‌های فلزی می‌باشد. نمودار حد شکل‌دهی روشی مناسب برای تعیین قابلیت شکل‌پذیری ورق‌های فلزی در فرآیندهای شکل‌دهی فلزات می‌باشد. هدف در این کار پژوهشی، انجام آزمایش تجربی برای تعیین نمودار حد شکل‌دهی ورق‌های دولایه‌ی فلزی بوده است. نمودار حد شکل دهی به‌عنوان یک معیار برای پیش بینی وقوع حالت گلویی شدگی که در نهایت منجر به پارگی ورق فلزی می‌شود به‌کار گرفته خواهد شد. در تحقیق حاضر، نمودار حد شکل‌دهی ورق دولایه‌ی فلزی آلومینیم-مس برای نخستین بار به‌صورت تجربی به‌دست آمده است. 2School of Mechanical Engineering, Iran University of Science and Technology, Tehran, Iran. 3School of Mechanical Engineering, Iran University of Science and Technology, Tehran, Iran. Nowadays, two-layer metallic sheets have become as a useful solution to produce multi-functional products. Generally, two-layer metallic sheets can have advantageous characteristics such as increasing formability of the low formable component, improving the corrosion and wear resistance and reducing weight and cost of manufactured products. Therefore, understanding the forming limit behavior of a two-layer metallic sheet has an essential role in the design of sheet metal forming processes. Forming limit diagram (FLD) is a suitable method to predict the formability of metallic sheets in sheet metal forming operations. The aim of this research was to determine the forming limit diagram in Aluminum-Copper two-layer metallic sheets experimentally. The forming limit diagram can be used as a criterion in order to predict necking initiation which may cause tearing in sheet metal forming processes. In this paper, the forming limit diagrams of Aluminum-Copper two-layer metallic sheets have been obtained through an experimental procedure for the first time. Karajibani, E. Hashemi, R. and Sedighi, M., “Determination of Forming Limit Curve in Two-Layer Metallic Sheets Using the Finite Element Simulation”, Proc IMechE Part L: J Materials: Design and Applications, DOI: 10.1177/1464420715593565, 2015. Keeler, S.P. and Backofen, W.A., “Plastic Instability and Fracture in Sheets Stretched Over Rigid Punches”, Trans. ASM, Vol. 56, pp. 25-48, 1963. Marciniak, Z. and Kuczynski, K., “Limit Strains in the Processes of Stretch-Forming Sheet Metal”, Int. J. Mech. Sci., Vol. 9, pp. 609-620, 1967. Goodwin, G.M., “Application of strain analysis to sheet metal forming problems in press shop”, SAE Paper No. 680093, 1968. Hecker, S. S., “Simple Technique for Determining Forming Limit Curves”, Sheet Met. Ind., Vol. 52, pp. 671-676, 1975. Pepelnjak, T. Petek, A. and Kuzman, K., “Analysis of the Forming Limit Diagram in Digital Environment”, Sheet Metal Erlangen, Vol. 5-8, pp. 697-704, 2005. Nakazima, K. Kikuma, T. and Hasuka, K., “Study on the formability of steel sheets”, Yawata Tech Rep. Vol. 284, pp. 678-680, 1971. Semiatin, S. L. and Piehler, H.R., “Forming limits of sandwich sheet materials”, Metall. Trans, 10: 1107–1118, 1979. Mori, T. and Kurimoto, S., “Press-Formability of Stainless Steel and Aluminum Clad Sheet”, J. Mat. Process. Techno, Vol. 56, pp. 242–253, 1996. Takuda, H. and Hatta, N., “Numerical Analysis of the Formability of an Aluminum 2024 Alloy Sheet and Its Laminates with Steel Sheets”, Metallurgical and Materials Transactions A, Vol. 29, pp. 2829-2834, 1998. Habibi Parsa, M. Yamaghuch, K. and Takakura, N., “Redrawing Analysis of Aluminum-Stainless-Steel Laminated Sheet Using FEM Simulations and Experiments ”, Int. J. Mech. Sci., Vol. 43, pp. 2331-2347, 2001. Huang-Chi, T. Hung, C. and Huang, C. C., “An Analysis of the Formability of Aluminum/Copper Clad Metals with Different Thickness by the Finite Element Method and Experiment”, Int. J. Adv. Manuf. Technol., Vol. 49, pp. 1029-1036, 2010. Aghchai, A. J. Shakeri, M. and Mollaei Dariani, B., “Influence of Material Properties of Components on Formability of Two-Layer Metallic Sheets”, Int. J. Adv. Manuf. Technol, Vol. 66, pp. 809-823, 2013. Liu, J. Liu, W. and Xue, W., “Forming limit diagram prediction of AA5052/polyethylene/AA5052 sandwich sheets”, Mater. Des. Vol. 46, pp. 112–120, 2013. Karajibani, E. Fazli, A. and Hashemi, R., “Numerical and Experimental Study of Formability in Deep Drawing of Two-Layer Metallic Sheets”, Int. J. Adv. Manuf. Technol., DOI: 10.1007/s00170-015-6978-5, 2015. .Karajibani, E. fazli, Ali. and garshasbi, Omid., “Experimental investigation and finite element effect on the parameters of traction in deep stretch bilayer sheets”, 22th ISME, Ahwaz, Iran, 2015. Karajibani, E. Fazl, A. and Garshasbi, O., “Experimental and finite element investigation of the effect of parameters on Limit Drawing Ratio in deep drawing of two layer sheets” 22th ISME, Ahwaz, Iran, 2015. Aghchai, A. J. Shakeri, M. and Mollaei Dariani, B., “Theoretical and Experimental Formability Study of Two-Layer Metallic Sheet (Al1100/St12)”, Proc. IMechE Part B: J. Engineering Manufacture, Vol. 222, No. 9, pp. 1131-1138, 2008. Morovvati, M. R. Mollaei Dariani, B. and Asadian-Ardakani, M. H., “A Theoretical, Numerical, and Experimental Investigation of Plastic Wrinkling of Circular Two-Layer Sheet Metal in the Deep Drawing”, J. Mater. Process. Technol. Vol. 210, pp. 1738–1747, 2010. 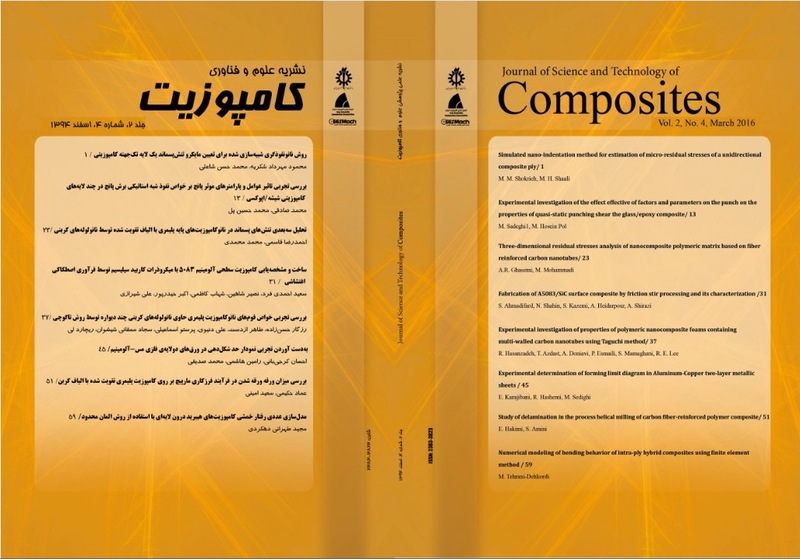 Bagherzadeh, S. Mollaei Dariani, B. and Malekzadeh, K., “Theoretical study on hydro-mechanical deep drawing process of bimetallic sheets and experimental observations”, J. Mater. Process. Technol. Vol. 212, pp. 1840– 1849, 2012. Gulenc, B., “Investigation of interface properties and weldability of aluminum and copper plates by explosive welding method”, Mater. Des. Vol. 29, pp. 275-278, 2008. Metals Test Methods and Analytical Procedures, Annual Book of ASTM Standards, ASTM-E8 and ASTM-E517, West Conshohocken, PA, Vol 03.01, 2000. Ozturk, F. and Lee, D., “Experimental and Numerical Analysis of Out of- Plane Formability Test”, J Mater Process Technol. Vol. 170, pp. 247-253, 2005. ISO 12004: Metallic Materials- Guidelines for the Determination of Forming Limit Diagrams, ISO, 1997.